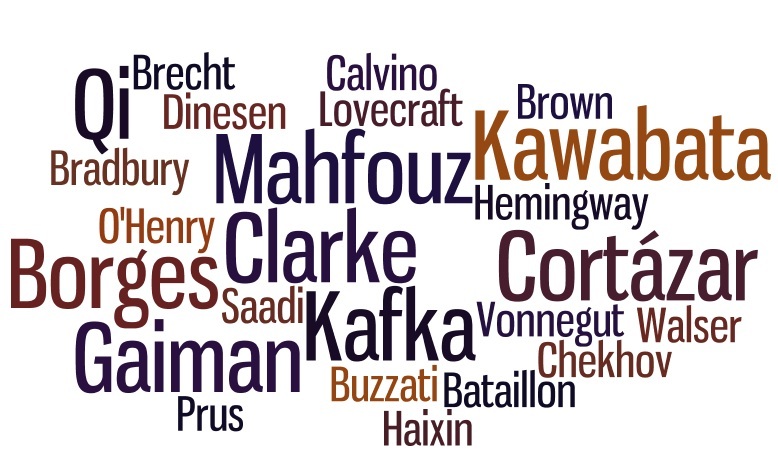 The number of famous authors who have written flash fiction is huge. Googling “flash fiction” brings up pages and pages of information and links to short-short fiction. Why do people enjoy writing flash? Why is there a market for it? The fairly recent popularity of flash fiction belies the fact that extremely short stories have been around for years. East Indian mythology in the Vyathaka Puranas and Greece’s Aesop’s fables are two examples. Complete stories, with a moral – many of them barely filling a page. Speculative fiction has been a leader in the challenge to distill stories to their bare essence since the 1930’s. In the early 1970’s, George Hay (founder of the Science Fiction Foundation) challenged Isaac Asimov and Arthur C. Clarke to write a “postcard story.” George’s idea was that stories on postcards with stamp-sized pictures of the author would be mailed around by excited fans, increasing the interest and audience for science fiction. In the past few years, the availability and interest in very short fiction has risen in all genres. Writers and readers around the world are spending time exploring and pushing the boundaries of extremely short fiction. From la minificción in Latin America to 一分钟小说 (smoke-long) fiction in China and flash in English speaking countries, various forms of short fiction are being studied by academics and futurists interested in the sociological implications. Why is flash fiction so popular today? What does it say about our culture and the future of reading and writing? It reflects our crazy lives – news comes in sound bites, social media has encouraged people to share bits and pieces (and subsequently learn to read bits and pieces of others’ lives). The digital world encourages short attention spans – and although curling up with a fat novel will always appeal to those wanting to lose themselves in an alternate reality, the pleasure of experiencing the epiphanic moments and poetic emotion good flash can supply is eagerly searched out by those with only a “minute” to spare. Prose poetry, vignettes and mini essays all have flirted with the idea of a short, compelling story with a plot, emotional arc, and sometimes the hint of an interesting setting. 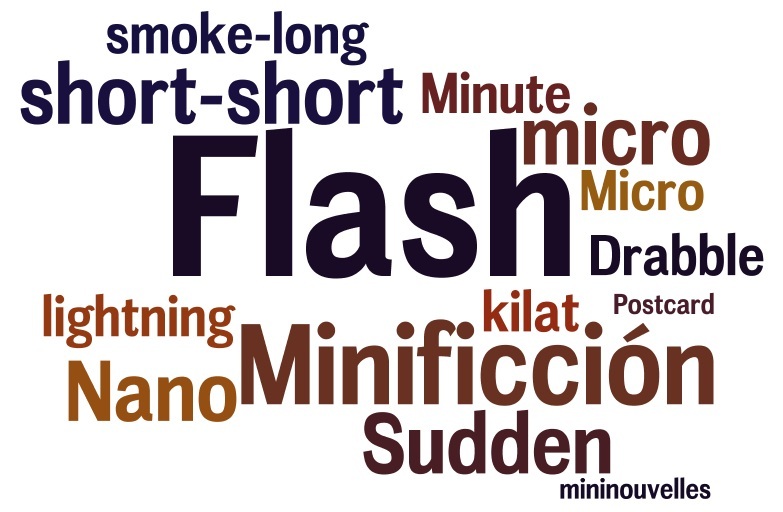 Characteristics of good flash fiction include tight writing – every word counts – a story arc of some sort, whether plot or character, and a small nugget – either a small point, a small change, a small heroic result. Readers are satisfied when they feel the story is complete. The ending doesn’t fizzle out or feel tacked on. So why write or read flash? Let me know what you think! This entry was posted in Writer Resources, Writing Advice and tagged #SFWApro, Fiction, flash, flash fiction, reading, Short story, sudden fiction, writing. Bookmark the permalink. BIG fan of flash. I enjoy the challenge of it and the awe it inspires when I read it done well by others. I know some folks just don’t “get it” and can’t understand why we wouldn’t want to write a 50K behemoth about the same story, but I think there can be a real beauty in brevity. Anyhow, way to go on meeting & beating your May W1S1 goals!